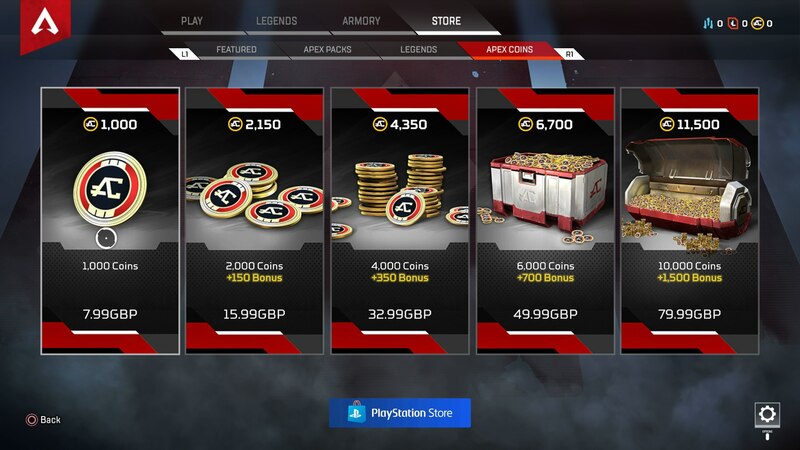 Here's how to earn Apex Packs within Apex Legends, as well as a list of Apex Coin prices for the microtransaction currency. Apex Legends might be free to play, but there isn't any way you can earn cosmetic items for any of the characters outside of Apex Packs. In this Apex Packs guide, we'll be compiling all the information you need to know about the pack system, including details on the Apex Pack drop odds, and detailing how to get free Apex Packs in Respawn's game. Firstly, what are Apex Packs? They function as the 'loot boxes' of Apex Legends, offering you rewards that you've otherwise have to grind out the game in order to earn. You'll earn three randomized items per Apex Pack, and these can be anything from weapon or character skins, to character voice lines, or crafting metals, that you can save up to unlock a specific weapon or character skin. But how do you earn Apex Packs in Apex Legends? You’ll earn an Apex Legends pack for the majority of new player levels you attain, and you level up in Apex Legends through earning XP. According to the official EA website for Apex Legends, you can earn a grand total of 45 Apex Packs over the course of player levels 1-100. 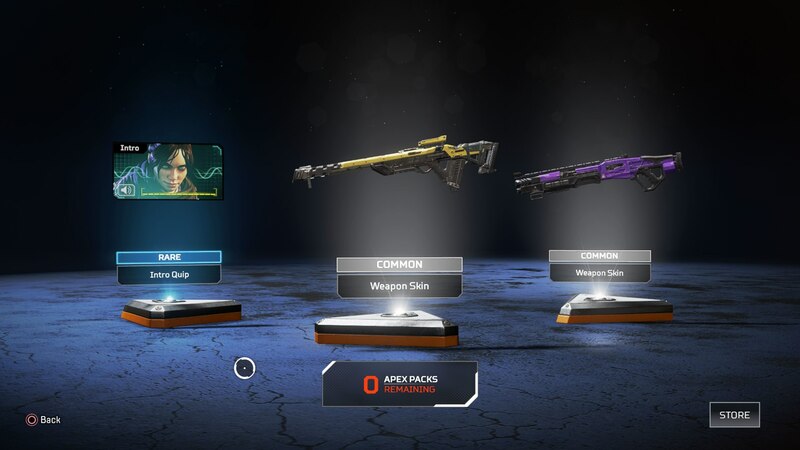 However, since Season 1 of Apex Legends has now launched, there's a brand new way for you to obtain Apex Packs by playing the game. If you purchase the Season 1 Battle Pass, which retails for 950 Apex Coins ($10), you'll access 100 total Battle Pass reward tiers. Sometimes, when you increase your Battle Pass reward tier, you'll be rewarded with an Apex Pack. For a full walkthrough of every reward you'll earn with the new pass, check out our Apex Legends Battle Pass guide. Rare or better item: 100 percent. Epic or better item: 24.8 percent. You might know what Apex Packs are, but how much do they cost? You can outright purchase an Apex Pack for 100 Apex Coins, the microtransaction currency of the game. Just below, we’ve compiled a list of all the microtransaction points available for purchase on all platforms. 1,000 Apex Coins - $10. 2,000 (+150 bonus) Apex Coins - $20. 4,000 (+350 bonus) Apex Coins - $40. 6,000 (+750 bonus) Apex Coins - $60. 10,000 (1,500 bonus) Apex Coins - $100. As of right now, this is absolutely everything that you need to know about Apex Packs found within Apex Legends. Respawn will be constantly making tweaks and adjustments to their Battle Royale game, and if there are any changes to the way this works, we’ll be sure to update this page straight away. For now though, you can head over to our Apex Legends beginner's guide and Apex Legends Guns Guide for more. Tagged with Action,	Battle Royale,	Co-op,	FPS,	Guides,	PC,	PlayStation 4,	Respawn Entertainment,	Shooters,	Xbox One.